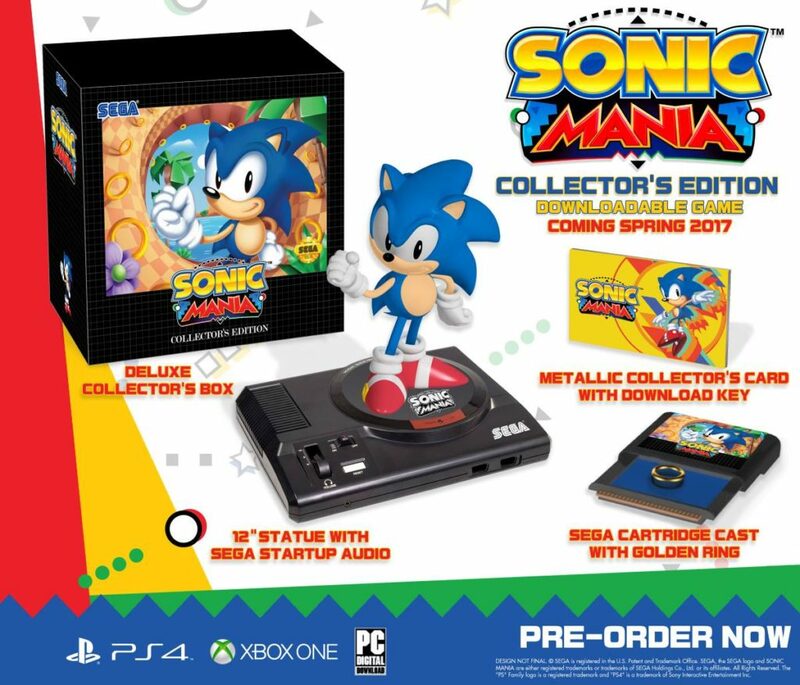 SEGA has announced a Sonic Mania collector’s edition for North America with a proposed release date of May 31, 2017. Flip the power switch to trigger the “SEEGAA” startup audio! The Sonic Mania official website is here, but is currently down at the moment. There’s no info whether this will be released outside of North America or if a different collector’s edition will be released elsewhere. We’ll be sure to update this post once we get more information.